Oh dear. Last night, I went to bed, re-read the blog on the Ipad and realised that I hadn't written in what a huilpil is. 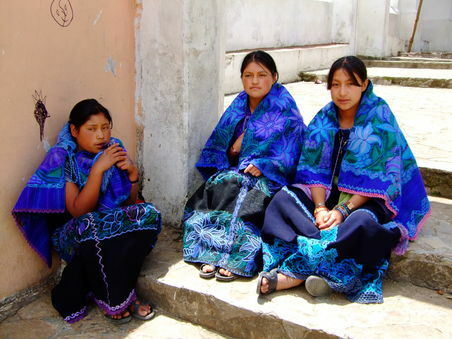 "A huipil is an embroidered blouse worn by indigenous women in southern Mexico and much of Central America. The blouses are particular to individual communities and are worn for special occasions. 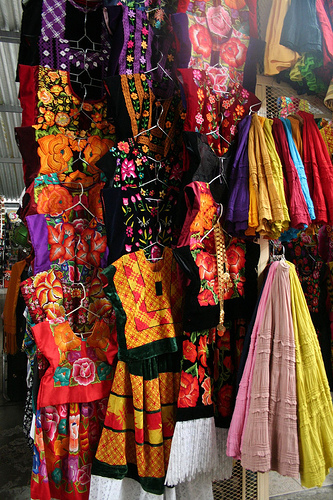 Additionally, the huipiles are sold as folk art and are quite popular." Each region has their own style of dress. You don't see it too much in the cities now, but in the countryside the garments are favored over western dress. We will be purchasing some of these amazing embroideries as textile decorations in the hotel.